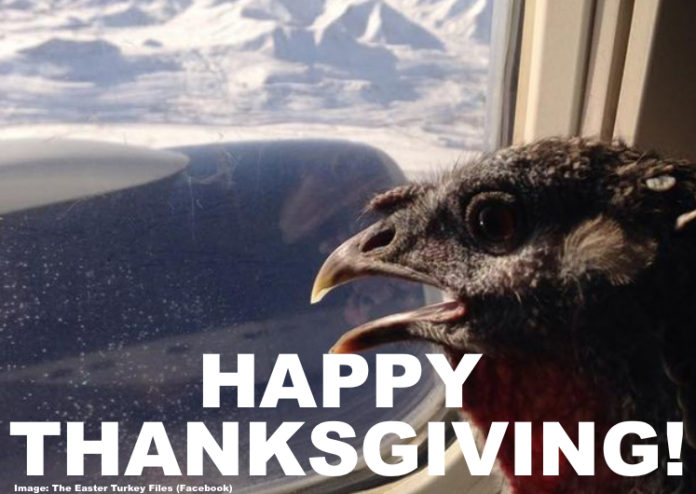 Happy Thanksgiving & Safe Travels From The LoyaltyLobby Team! It’s Thanksgiving Day again, one of the busiest travel periods in the United States that comes with both stressful situations but also good shopping opportunities in the travel sector. Many hotels, airlines and their loyalty programs will have deals in the coming days so after having a nice turkey dinner in the circle of your family maybe you should look out what they have in store this year. Over the last couple of years airlines, hotels, rental cars and baggage stores had very good Thanksgiving (Black Friday) sales so we’ll keep monitoring if there are any hot deals this time around. Until then, the LoyaltyLobby team wishes you a Happy Thanksgiving in the circle of your family & friends wherever you are in the world on this occasion. Those of you that will go on the road for either business or personal travel, good luck and a safe trip! Thanksgiving just as all other busy periods provide good opportunities for getting bump vouchers on oversold flights, a competitive upgrade environment and long security lines. Certainly a good time to appreciate your airline and hotel elite tier a little more. Hope all you folks enjoy your turkey. Gobble, gobble!